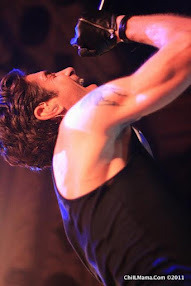 (winner's choice of any performance Wednesday-Sunday). Enter through midnight 4/12. Ready for a double date at a mansion, girls' night out, family fun with the teens...?! ChiIL Live Shows is partnering with First Folio on another fabulous ticket giveaway for our readers. Grab 3 friends and catch a great show on us! Enter early & often. We'll announce our winner Saturday, April 13th. 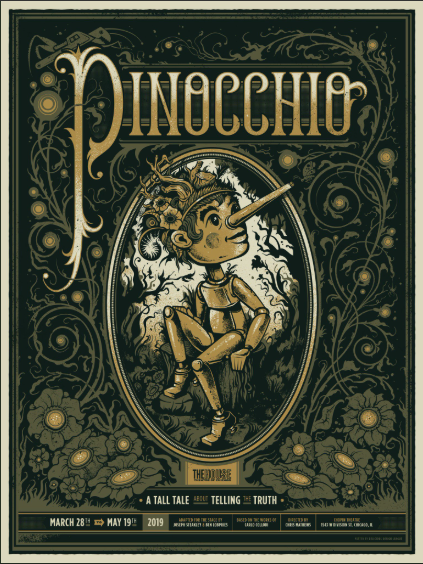 In its 23rd season, First Folio Theatre (Mayslake Peabody Estate, 31st St. & Rt. 83.) is exploring the consequences of today’s info-saturated environment with Meridith Friedman’s politically-charged production THE FIRESTORM. 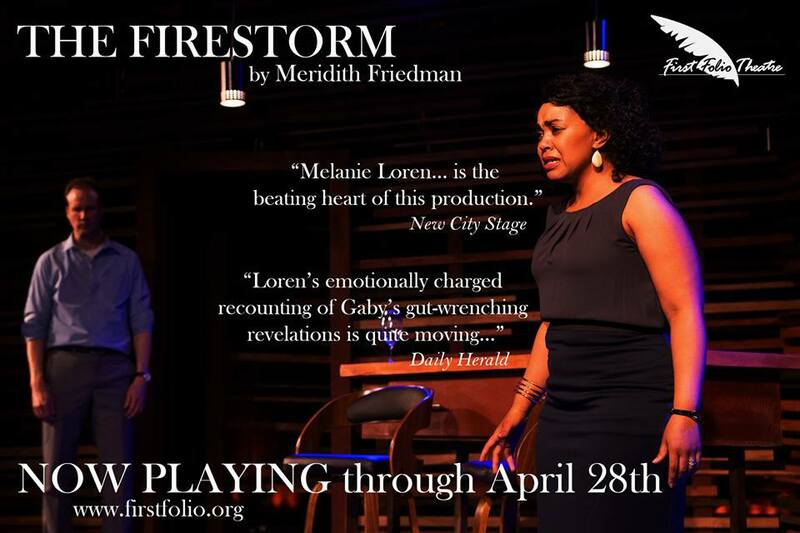 Directed by Artistic Associate Rachel Lambert, THE FIRESTORM highlights the repercussions “call-out culture” has on relationships, explores the challenges and triumphs of interracial relationships, and notes how couples can navigate the world together in a highly-politicized society. THE FIRESTORM runs through April 28, 2019. THE FIRESTORM follows Gaby and Patrick, an interracial political power couple hot on the campaign trail. The couple is thrust into the center of a media frenzy when a racially charged incident from Patrick’s past surfaces. As the pressure intensifies, the political becomes explosively personal and the foundation of their seemingly picture-perfect marriage begins to fracture. The stunning production leaves audience members begging the question: when the past comes to haunt us, what do we do with the ghosts? Starring in THE FIRESTORM are Melanie Loren as Gaby and Steve O’Connell as Patrick, with Samuel Campbell III as Jamal, and Kayla Kennedy as Leslie. The production and design crew include Angela Weber Miller (Scenic and Lighting Design), Christopher Kriz (Original Music and Sound Design), Cassy Schillo (Properties Design) and Stephanie Nguyen (Costume Design) with Colleen Layton (Stage Manager) and Wallace Craig (Assistant Stage Manager). Performances take place at the Mayslake Peabody Estate, located at 1717 31st St., off Rt. 83, in Oak Brook. First Folio is easy to get to from via the East-West Tollway (I-88) or the Stevenson Expressway (I-55). Free parking is available on the grounds. Preview tickets are $25. Regular priced tickets are $34 Wednesdays and Thursdays (seniors and students are $29), and $44 on Fridays through Sundays (seniors and students are $39). Tickets are on sale now and may be purchased by calling the box office at 630.986.8067 or online at www.firstfolio.org. 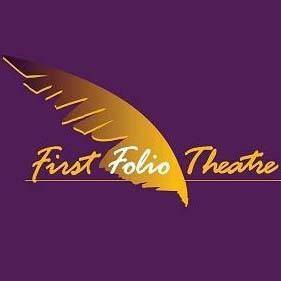 Disclosure: It's our pleasure to partner up with First Folio Theatre once again, on a giveaway for our readers. They have given us complimentary tickets for our giveaway and for review purposes. As always, all opinions are my own.